One of the things that makes creating maps so much fun is the ability to make something out of nothing, something that resonates with oneself or others. Making something from scratch that others find a use for can be very rewarding. 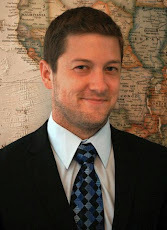 Google has helped the everyday computer user become a seasoned GIS specialist. What was once done with zipatone, pens and colored pencils can be done in Google maps or Google Earth in a few minutes. Add to that audio recordings, tours, flyovers and you are creating something meaningful. Mix in knowledge of html and suddenly you’re creating things that could be accessed and enjoyed by thousands. While I don’t create things enjoyed by thousands, I do create things that I can enjoy and share with my friends. I have dabbled in Sketchup and am hoping to hone my skills there, but I recently came across a new Google (of course) feature which, in a way, marries Google Earth and Sketchup, a tool called Building Maker. You’ve probably noticed a LOT of buildings when you turn on the buildings layer in Google Earth. Most of those buildings were created in Sketchup and the texturing was added on either by user photos or street view photos and then uploaded and approved by Google. Major metropolitan cities have enough Google-geniuses to hammer out a large number of buildings, particularly in the center city. 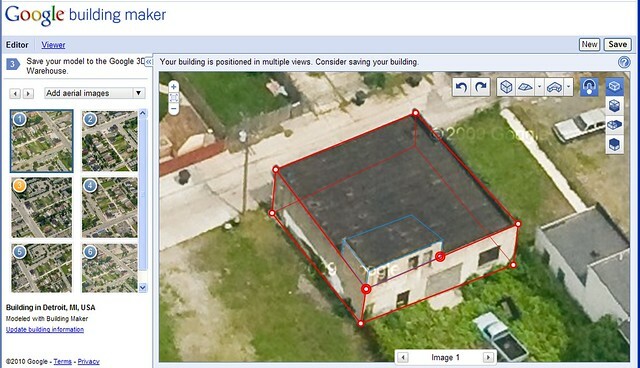 With building maker, Google has brought building creation in Google earth to a new level of mainstreaminessism. A quick plugin allows a user to pick a building and match up the corners or features of that building with virtual “building blocks” such as cubes and triangles using multiple oblique images as a guide. That sounds rather complex but it’s actually quite simple. Here is a screen shot of a building I made.. If you’re interested in creating things, give building maker a try, it’s fun and easy to recreate buildings. Here is a good how to video. Give Building Maker a try and let me know what you think!